The Northern Mexican dish carne con chile(‘meat with chilli’) does not include beans or tomatoes, unlike the chilli con carne most of us know; tomatoes aren’t necessary when you have a red, silky puree of guajillo chillies. Mexican chillies and spices to make a typical northern Mexican dish carne con chile (recipe card included). 24g sachet Carne Con Chile Spice Mix (masa harina, smoked paprika, Mexican oregano, cumin, sea salt), 1 Chile de Árbol, 3 Chiles Guajillo, 1 Chile Ancho, 1 recipe card card. 2 tbsp vegetable oil, 400g stewing meat (beef, lamb, pork or goat – the more marbling the better), 1 medium onion, 1 clove of garlic, salt. Toast, soak, blend and sieve dried chillies to make a paste to season meat – see full instructions in recipe card. 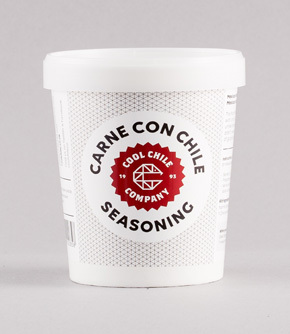 -Serve with freshly warmed Cool Chile Corn Tortillas, salsa and ice cold beers. Mexican chillies and achiote paste to make a marinade for grilled or barbecued meat (see recipe card included).Tacos Al Pastor (‘shepherd style’) are one of Mexico’s most famous and delicious street foods, with the marinated meat traditionally grilled on a vertical spit, similar to a shwarma or gyro. Mexican chillies and spices to make a paste for seasoning minced meat to make spicy, tangy Mexican chorizo (recipe card included).Mexican chorizo is a fresh loose sausage meat that is fried and served crumbled over food.